One of the University's most symbolic traditions is the Rotunda Passage, which includes both a processional and recessional. 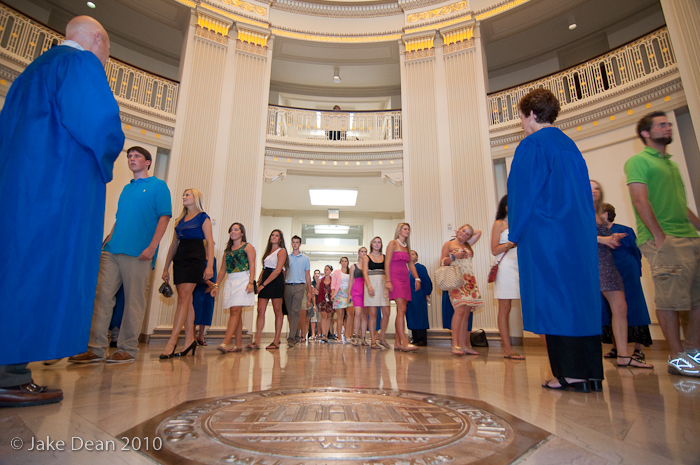 Many students begin their lives at SMU by processing through the Rotunda of Dallas Hall to Opening Convocation held in McFarlin Auditorium, symbolizing their entrance to SMU. 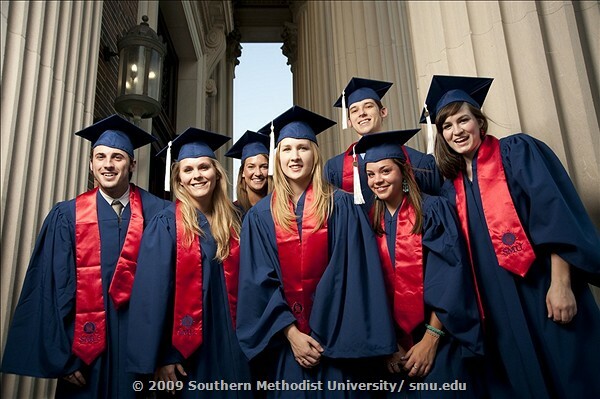 At the end of their time at SMU, students will recess back through the Rotunda at the conclusion of the Baccalaureate Service held the evening before May Commencement. It is a symbolic departure from campus and out into their future as the newest members of the SMU Alumni family. The Rotunda Passage also recognizes the importance of Dallas Hall to SMU's campus life. Dallas Hall is the oldest building on campus. In 1915 when classes began, it housed all of the academic and administrative functions of the University. It is pictured on SMU's seal and just as Dallas Hall is central to SMU, the Rotunda is at the very center of Dallas Hall. 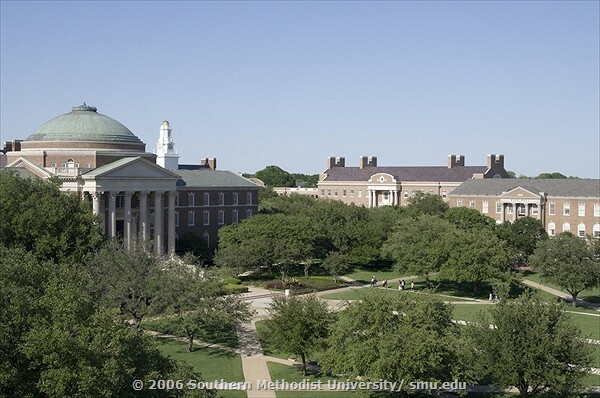 Our Rotunda is the centerpiece of a magnificent three-story building that stands on the highest spot, or "hilltop," of the land given by the citizens of Dallas to attract SMU to this city. It is fitting that Dallas Hall is named in honor of the generosity and vision of those citizens. It is appropriate one becomes part of the SMU community by marching through it to Opening Convocation. The Rotunda Processional, which takes place at the beginning of SMU's Opening Convocation ceremony, marks the moment when entering first-year and first-year transfer students become a part of the SMU community. During the Rotunda Processional students march through the back Dallas Hall, SMU's oldest building. Students are guided to emerge from the front doors by alumni who are also parents of entering students. From the steps of Dallas Hall, students are led into McFarlin Auditorium by Peruna, a living symbol of the University. At the conclusion of Convocation, the historic Ovilla Curtain is lowered to signify the completion of their initiation. Read the story of the Ovilla Curtain here. The Rotunda Recessional is a ceremonial tradition in which graduating students take their final walk on campus. The evening before May graduation, candidates will leave McFarlin Auditorium in their academic regalia guided by alumni marshals. At the conclusion of the Baccalaureate Service, they will march up the stairs and through the front doors of Dallas Hall to symbolically complete their journey.